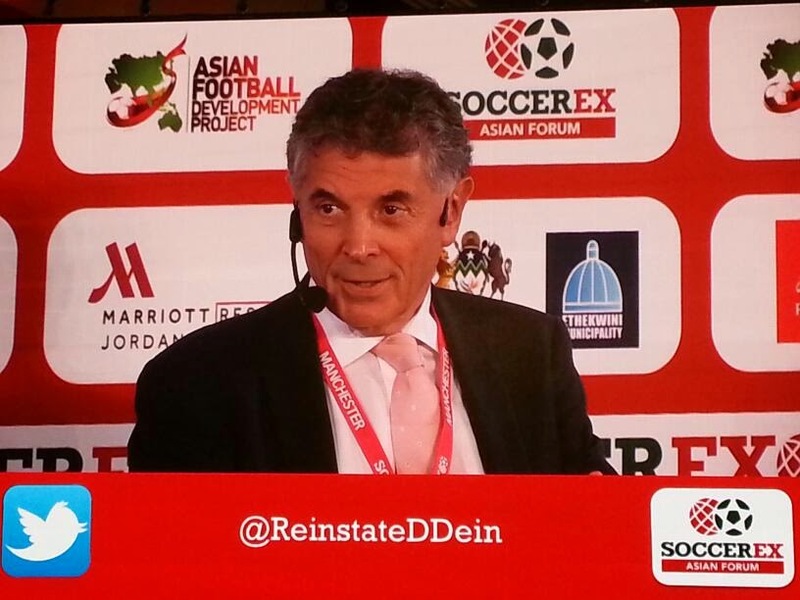 Former vice-Chairman David Dein believes Arsene Wenger still has the hunger to lead Arsenal to success and believes the club "deserve" to win the FA Cup. The former Gunners board member was speaking at the Soccerex conference in Jordan and told audience members Wenger was "fit as a fiddle" and had "still got the fire in his belly". However he revealed it had been a "difficult season" for Wenger and Arsenal but believes his close friend will put pen to paper and continue his association with the north London club. "He doesn't become a bad manager overnight. "He's a workaholic and consummate professional." Saturday's FA Cup final however is important to Wenger, Dein stressed. "He needs that trophy just to allay some of the critics." "Has he stayed too long? Only he will know that. He will know when the time is right."